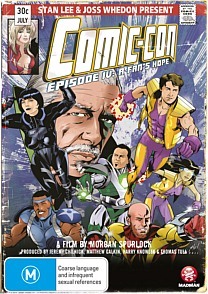 Comic-con Episode IV: A Fan's Hope DVD Review Unfortunately opposed to Spurlock's previous works, Comic-Con Episode IV: A Fan's Hope seems quite hollow as there is no real substance in what he is trying to tell. Welcome to another interesting yet overtly commercial documentary from Morgan Spurlock (Super Size Me, Where In The World Is Osama Bin Laden?) 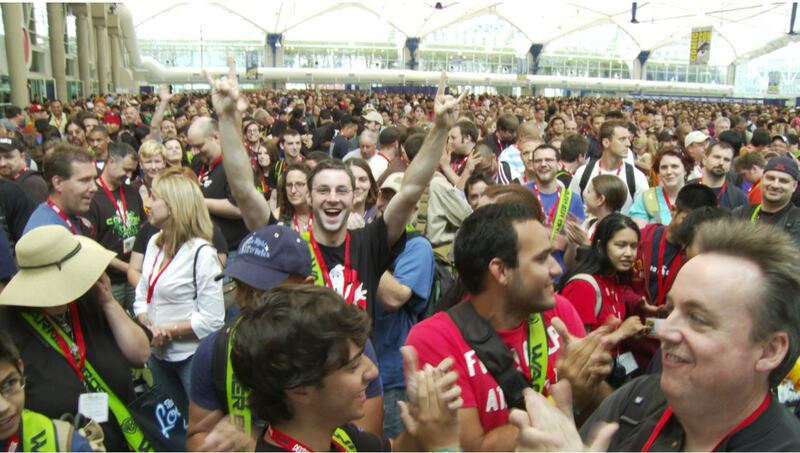 who takes the viewer to one of America's biggest and largest collection of geeks with the San Diego Comic Con that is more Hollywood opposed to informative. 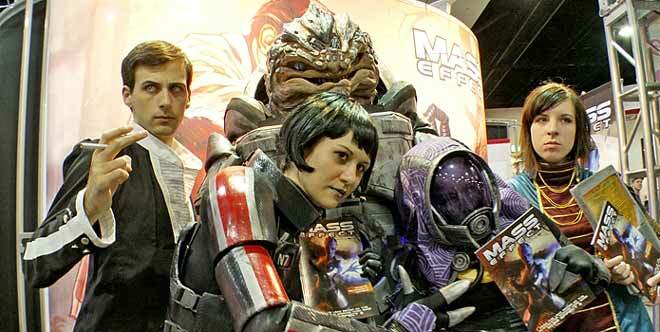 Filmed in 2010, the documentary follows a group of San Diego Comic Con fans who have come to this convention for a variety of reasons. These people include Eric Henson and Skip Harvey, two loveable geeks who want break into the comic industry by becoming artists. Then there's Chuck Rozanski, the founder and owner of Mile High Comics who is valiantly trying to keep the print medium alive and is also hoping to sell some of his rare and expensive comics to the visitors of convention. Add in James Darling who has gone to the San Diego Comic Con with his girlfriend in order to surprise her with a wedding proposal. Lastly, we have Holly Conrad, a costume designer who is actually quite talented and is hoping to make a name at the convention. Her costume designs are amazingly good. Apart from the everymen and women, the story adds in interviews from stars that include Joss Whedon, Kevin Smith and comic book legend Stan Lee who inform the viewer of what makes the San Diego Comic Con the place to be. In terms of special features (69 minutes), there's some jam packed interviews with comic stars such as Todd McFarlane (Spawn), Frank Miller (Batman Dark Knight Returns) and Grant Morrison (Action Comics). I actually found the special features to be more entertaining the main documentary. Unfortunately opposed to Spurlock's previous works, Comic-Con Episode IV: A Fan's Hope seems quite hollow as there is no real substance in what he is trying to tell. It is a fun documentary but when it comes to information or controversy, Spurlock only briefly touches upon it. Even so, after watching this documentary, the San Diego Comic Con looks like an amazing place to visit but be prepared to wait in lengthy... lengthy lines!